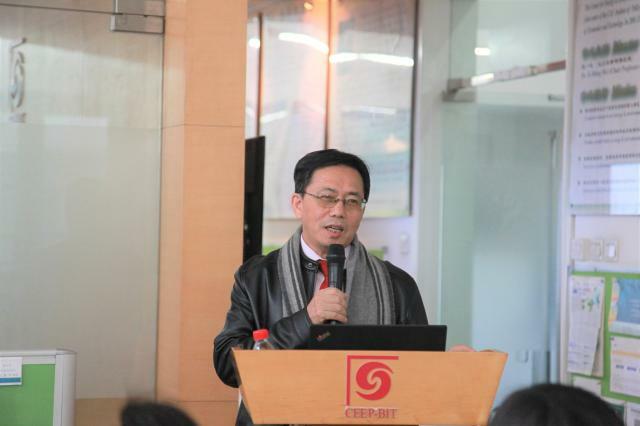 At 9:00 on December 4, 2018, Prof. Liyin Shen , from Chongqing university , was invited to visit CEEP and did an academic report entitled "sustainable development of urban ecosystem driven by low-carbon construction".This report was hosted by Dr. Weigang Zhao , many teachers and students attended the report. Professor Liyin Shen is a distinguished professor of the school of construction management and real estate, Chongqing university (the high-level talent introduction program of Chongqing university), doctoral supervisor and director of the international research center of sustainable construction of Chongqing university. He is also a member of the American society of civil engineers (ASCE), a senior member of Chartered institute of builders (CIOB), and a member of the American society of civil engineers and builders. His main research direction is sustainable construction; Construction and real estate risk management; Construction and real estate enterprise competitiveness and competitive strategy. He has published 197 academic papers in English international journals, 51 academic papers in Chinese magazines; 6 English books; 97 international conference papers in English;11 Chinese conference papers; he is an editor in chief of nine international conference proceedings, and so on. In today's report, professor Liyin Shen focused on the sustainable development of urban ecosystems driven by low-carbon construction. First of all, he introduced the concept of urban ecosystem, the challenges faced by urban development, the urgency of sustainable development path of urban ecosystem and the goal of sustainable development.Then he analyzed the mechanism of driving sustainable development of urban ecosystem, and introduced the connotation of low-carbon city construction, four stages of construction, key elements and their performance as well as the main strategies of low-carbon construction. And he analyzed the driving factors of different goals under different strategies. Finally, he put forward his own thoughts on the variability of driving factors, the establishment of values and the management theory. 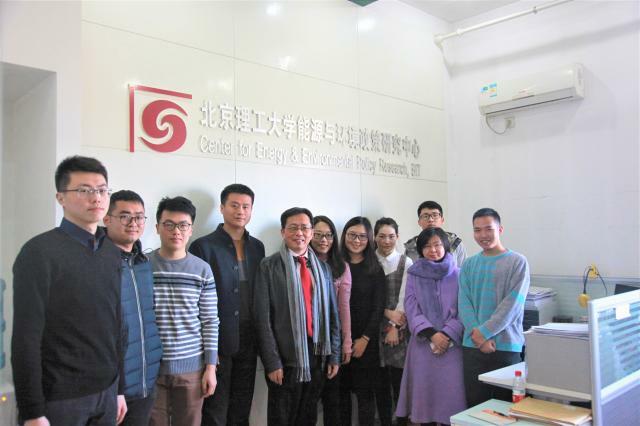 After the report, Professor Shen took the picture with teachers and students at CEEP together.